Mastic by Ply Gem provides you with a wide range of home exterior design options – from style and textures to popular colors and accessories. With Mastic you can create custom curb appeal that will be the envy of the neighborhood. 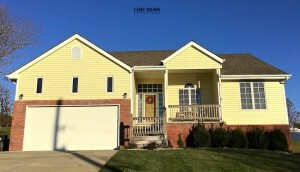 This home selected Mastic’s Dutch Lap Quest vinyl siding in Classic Cream. Corners, vents, porch ceiling, porch beams, soffit and fascia were finished in White. For solutions to your exterior renovation call Casey Nelson Exteriors. Let Casey discuss Mastic Siding products his company has that will draw not only curb appeal to your home but architectural interest. Contact Casey Nelson Exteriors of Lincoln and Omaha to help you create a one of a kind home! Let Casey Nelson show you what Mastic Siding and selected colors can do for your home! 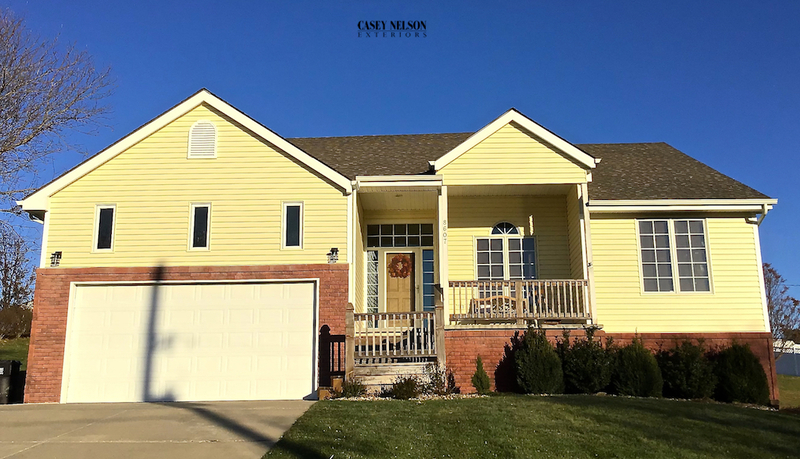 This entry was posted in Recent Projects and tagged Siding Contractor Lincoln NE, Siding Contractor Omaha NE, Siding Lincoln, Siding Omaha, Vinyl Siding Contractor Lincoln NE on November 13, 2018 by Casey Nelson Exteriors. © 2019 Casey Nelson Exteriors. All rights reserved.